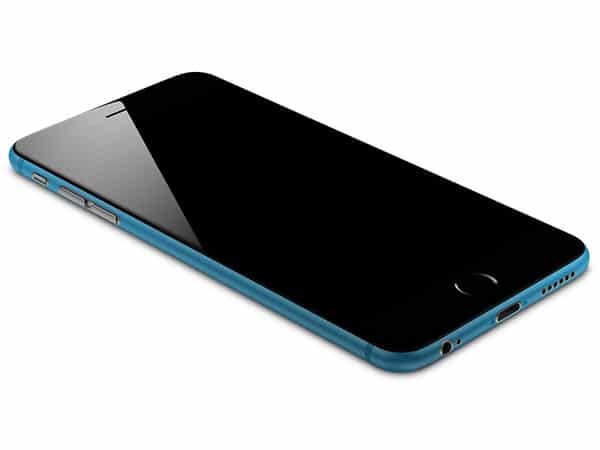 Digital media analytics firm comScore have revealed their latest statistics for smartphone marketshare here in the US. The stats were gathered from a three-month period which started on February 15 and ended on May 15 of this year. 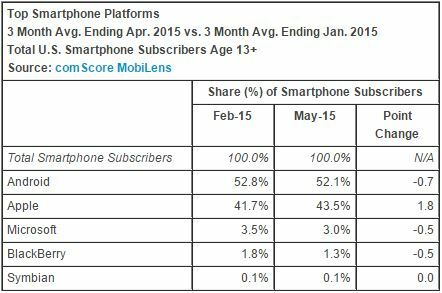 According to comScore, iOS was the only smarphone platform which managed to gain any marketshare during those three months. iOS gained 1.8 percent of the marketshare, going up from 41.7% to 43.5%. Other smarphone OS maker didn’t do so well. While not that much, Android lost 0.7 percent of the marketshare – going from 52.8% to 52.1%. The stats show that Microsoft and BlackBerry ran with the same luck: both company lost -0.5 marketshare. As for who sold the most smartphone subscriber during that period, it looks like Apple managed to who most smarphone users during that period than any other Android OEM. 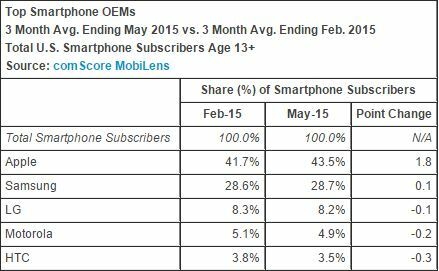 Like in the top Mobile OS, Apple gained 1.8 percent in smartphone hardware subscriber. The company went from 41.7% to 43.5%, according to comScore’s data. Samsung was the only OEM other than Apple that managed to gain any smartphone hardware marketshare, going from 28.6% to 28.7% – a 0.1 percent gain. LG, Motorola, and HTC all lost a small amount of smartphone marketshare during that period – as you can see from the stats below. As for the apps, Facebook ranked as the top smartphone app, reaching 70.2 percent of the app audience, followed by YouTube (59.1 percent), Facebook Messenger (52.4 percent) and Google Play (52.1 percent).